This week, two readers have asked me about garden problems caused by lack of water. As you know, it is extremely difficult to keep gardens well-watered in drought conditions. However, as plants can only absorb the nutrients they need for healthy growth and ripeness of crops as water-soluble ions, inadequate water is the cause of a wide range of problems, including pest attack. Bare soil in garden beds and around trees, shrubs and vines allows a lot of soil moisture to be lost to evaporation. A 5 cm layer of organic mulch over beds and around larger plants (keeping it a hand span from the trunk) will prevent water applied to the soil from being wasted. Lawns are greedy and as their roots are close to the soil surface, they take water and nutrients intended for fruit trees and favourite ornamentals. Keep lawns beyond the outer canopy of trees and cover the area under trees with mulch. A method that we have found very helpful to water mulched beds is to use plastic soft drink and juice bottles to funnel water through mulch directly to the root area of susceptible plants. This is a quick and very efficient way to hand water during drought, water restrictions, heat waves or windy weather. 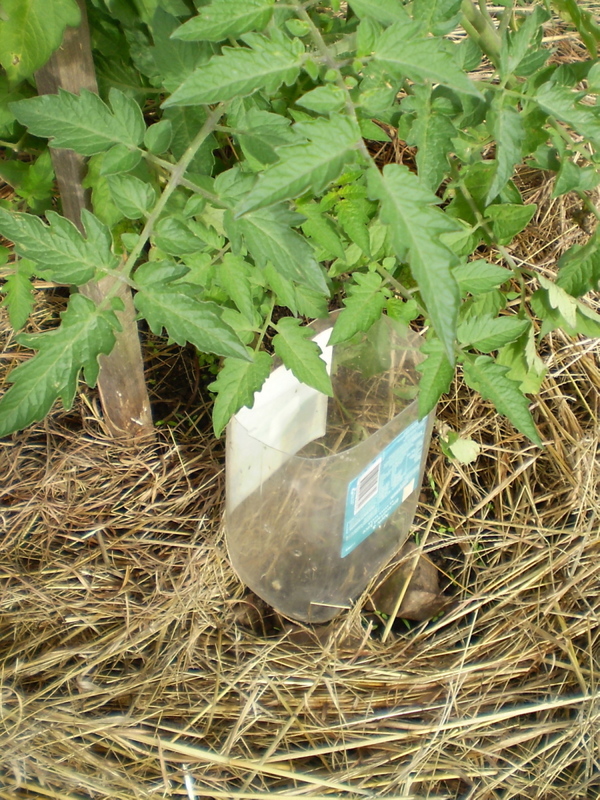 Limp tomato seedlings will freshen up in about 10 minutes after watering by this method. Simply cut off the base of each container, remove the lids and bury the necks of the containers about 8 cm deep near outer edge of the foliage of plants. Large shrubs may require several containers. Pour water into the container until it begins to drain slowly – an indication that you have dampened the soil in the root area. 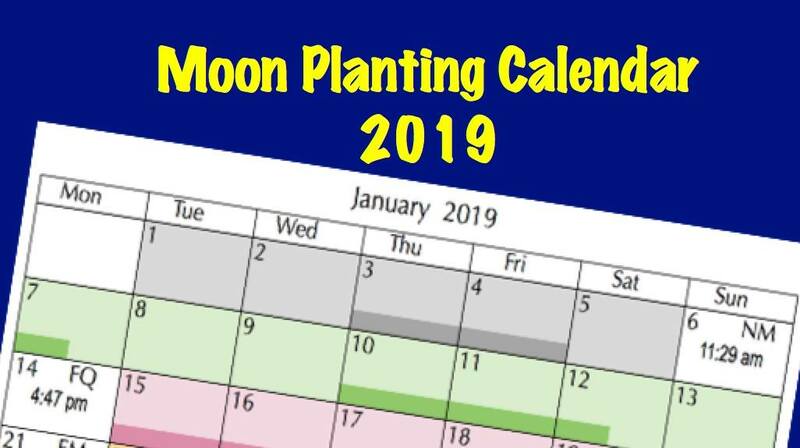 This entry was posted in Fruits and Vegetables, Herbs, Ornamentals, Uncategorized and tagged Aussie gardening, Australian gardening, backyard gardening, backyard vegetables, climate change gardening, cold protection, drought, easy organic gardening, efficient watering, environmentally friendly gardening, flowers, fruit, garden soil, gardening advice, growing plants, Herbs, how to grow, mulch, New Zealand gardening, organic gardening, ornamentals, plants, pot plants, seedlings, sustainable gardening, vegetables, watering. Bookmark the permalink. 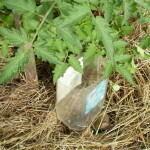 A more permanent alternative (for shrubs,trees etc) to the plastic bottle is a length of poly pipe placed in the hole when planting. Size of the pipe will determine the amount of times you need to fill it.